Mitra, an ambitious artist around 40, a mother and a wife, embarks on her dream of making a film about her hero, the legendary female singer of the Arab world, Oum Kalthoum. Iranian artist Shirin Neshat remembers an iconic figure from Arab music on the big screen in Looking for Oum Kulthum, a film co-produced by Germany, Austria and Italy, in competition in the Giornate degli Autori 2017. A film within a film, Looking for Umm Kulthum is the plight of an Iranian woman artist/filmmaker living in exile, as she embarks on capturing the life and art of the legendary female singer of the Arab world, Oum Kulthum. Through her difficult journey, not unlike her heroine's, she has to face the struggles, sacrifices and the price that a woman has to pay if she dares to cross the lines of a conservative male dominated society. Berlin-based The Match Factory has taken world sales on New York-based Iranian artist and filmmaker Shirin Neshat’s “Looking for Umm Kulthum,” a feature film centered on Egyptian singer-actress and international icon Umm Kulthum, considered the Arab world’s greatest singer. Having won the Silver Lion in 2009 with Women Without Men, Iranian artist and filmmaker Shirin Neshat is back at the Venice Film Festival, this time in the Giornate degli Autori, with her sophomore feature, Looking for Umm Kulthum, a biopic that thinks outside the box and shines the spotlight on a legend of Middle Eastern music, Egyptian singer Oum Kulthum. The sheer popularity of this artist, who was perhaps not so well known in the West, but whom President Nasser made no bones about describing as “the fourth pyramid of Egypt”, is plain to see soon enough when, at the start of the film, we see a parade of archive images from her funeral, which drew a vast crowd in 1975. 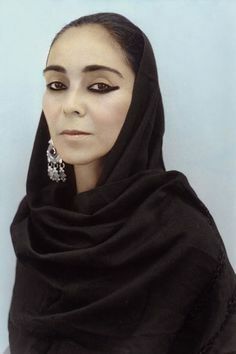 But Neshat shies away from painting a traditional portrait of an extraordinary life, and instead makes the central pillar of her story a woman, her alter ego, who is reflected in this heroine in a never-ending game that seesaws between cinema and metacinema, and between reality and fiction. Mitra (played by Iranian actress Neda Rahmanian) is a director who dreams of making a movie about Arab diva Oum Kulthum. Once the lead actress (Egypt’s Yasmin Raeis) has been found, principal photography gets under way, but she will soon have to contend with the prejudice of the men around her, who don’t think she is up to the task, and with her feelings of guilt about being an absent mother, because she is so wrapped up in her work. What price must a woman pay in order to follow her passions in such a chauvinist, conservative and frustrating society? This is what Mitra wonders, as she begins to be reflected ever more clearly in her heroine, in the sacrifices she makes in the name of success, and slowly but surely she starts sinking into a personal crisis that will change the outcome of her film. Dreamlike visions, archive images and reconstructions of the most important moments in the history of Egypt (the revolution, the feminist marches, the end of the monarchy) are intertwined and mingle with the trials and tribulations of Mitra and her work on set. In this complex mesh of cross-references and connections, the musical moments really come to the fore, in particular the two concerts given by the monumental singer in honour of King Farouk, first of all, and later of President Nasser, in front of the ecstatic faces of her fans, who admire and sing along with her. The movie immerses us in Egypt in the 1950s and 1960s, and in its traditions, at a time when the Middle East showed its more open-minded and cosmopolitan side – but above all, it is a subtle portrait of the person behind the icon, a legend who was first and foremost a woman, and proved a role model for so many Arab females who are fighting to assert themselves. Looking for Umm Kulthum is a production between Germany (Razor Film Produktion), Austria (Coop99 Filmproduktion) and Italy (In Between Art Film, Vivo Film), together with Lebanon and Qatar. The international sales are handled by German company The Match Factory. The increasing difficulties of capturing Oum Kulthum’s essence as a myth, a woman, and an artist lead Mitra to have a complete breakdown. Now Ghada, an exceptionally gifted actress and singer playing the role of Oum Kulthum, comes to Mitra’s rescue, as she is connected to the core of life and femininity and is naturally wise. Through this Mitra achieves self-realisation and an artistic breakthrough.